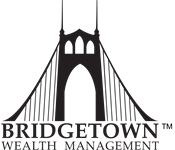 Michael Ramey started as a Financial Advisor with Waddell & Reed in 2010 and joined Bridgetown Wealth Management in 2018. 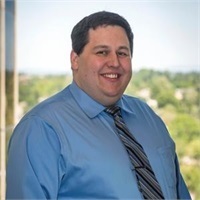 We invited Mike to become a part of our team because of his dedication to financial planning and excellent customer service skills. Mike’s job is to help make sense of all the data our clients provide, and then create a path for them to pursue their financial goals. I’d say the most important thing I learned about financial planning is that it’s about so much more than the numbers. My clients are my friends and I help them pursue their financial hopes and dreams. It’s a really special position to be in. Mike is a native of the Pacific Northwest. He grew up in Olympia, Wash. and moved to Portland with his family in 1997. When he’s not in the office, Mike can be found on the stage performing with a local comedy group as well as volunteering for nonprofit organizations, such as the Trail Blazers Foundation 50/50 Raffle. In 2017, he helped raise more than $23,000 for the Community Cycling Center through that program. His favorite accomplishment was recently being Man of Honor for dear friend, and award winning, local writer Andi Prewitt.